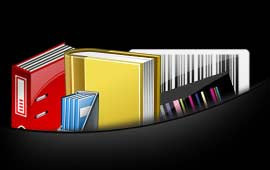 Student ID Cards Maker Software is useful to create multiple ID cards for students of school, colleges, universities etc. To add photo on identity cards you can capture using camera option or you can browse path of image saved on your computer system. You can generate list of ID cards for students using batch processing series feature. Make your own student identity card design using various card designing objects such as line, text, rectangle, triangle, ellipse, barcode, signature, watermark, star, browse image, symbols, image library and card background. You can also select ID card design from various pre-defined templates and quickly generate student ID cards in just few clicks. ✪ Program has Live Group and Batch Processing Mode to create multiple student ID cards using excel data. ✪ Easily export or save created student ID cards as image, as PDF file format and as template. 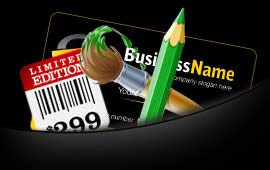 ✪ Create colorful ID cards by using color settings available in software. ✪ For future reference, program has option to save designed student ID card log in .idd file format. ✪ You can print same card design to both side of ID card by using 'Copy current card design to the other side of card' option. ✪ Software provides advanced print-settings to print multiple ID cards simultaneously. ✪ Using email-settings of software you can send designed ID cards to specified email IDs. 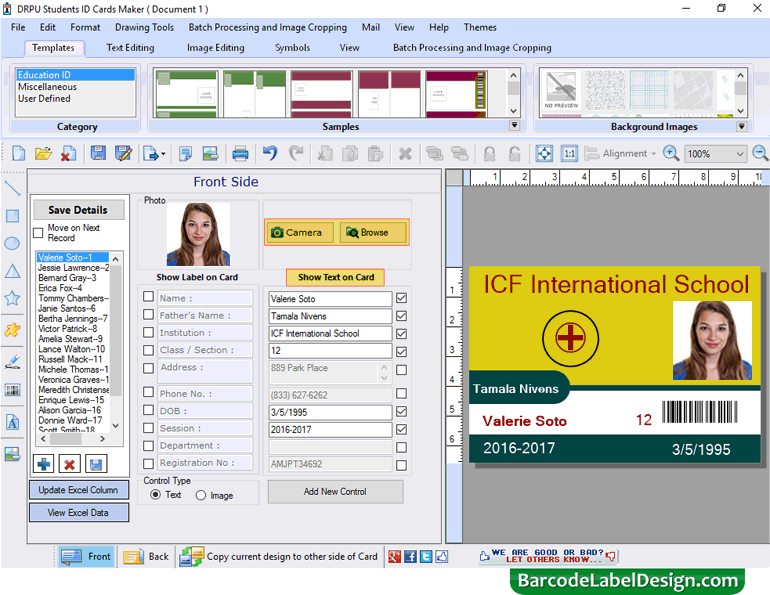 ✪ Crop single or multiple images for ID cards using Image Cropping option of software. 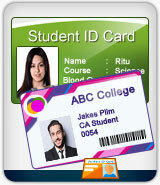 ✪ Design student ID cards in different shapes such as rectangle, rounded rectangle and ellipse shape.